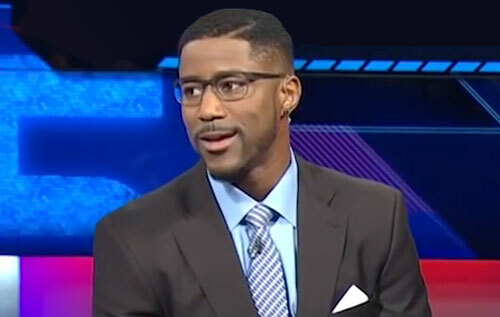 Nate Burleson is a former wide receiver and return specialist who had an 11-year playing career in the NFL. Burleson played for the Minnesota Vikings from 2003–2005, the Seattle Seahawks from 2006–2009, the Detroit Lions from 2010–2013 and the Cleveland Browns in the 2014 the offseason as a practice squad member. Nate Burleson was selected for the Seattle Seahawks 35th Anniversary team. After his career as a player Burleson began a broadcasting career as an analyst for the NFL Network and as a color commentator for the Detroit Lions Television Network. Nate Burleson was inducted into the Nevada Athletics Hall of Fame in 2012. Sports Speakers 360 is a booking agent for pro athletes. If you would like to book Nate Burleson for a speaking engagement, appearance or endorsement, contact a Nate Burleson booking agent for fees at 1.855.303.5450.